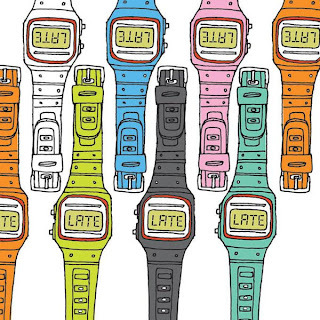 Knitrageous: Does Anybody Really Know What Time It Is? 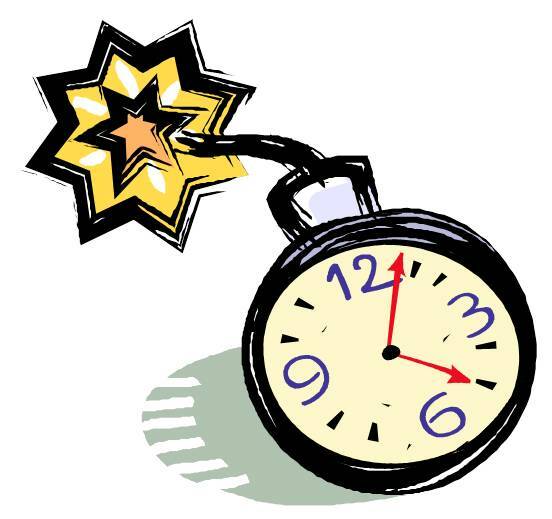 It’s a strange feeling to not know what time it is. Especially now, with clocks and information everywhere! But that’s what happened. Darn daylight savings time! It started when the clock in the truck was wrong. Then there was the crossing to another time zone. Add ‘springing forward’ to the list, one time on the microwave, another on the clock on the wall, still another on the cell phone and one more on the clock in town. The satellite TV had another time that didn’t match the cell phone time, which was supposed to be correct but did match the microwave which wasn’t supposed to be correct. Finally, because it was ‘vacation’, I decided it just didn’t matter! I went to bed when I was tired. I woke up when I woke up. I ate when I was hungry and had enough time to do what I wanted to do. There wasn’t a bedtime or a wake up time. There was no need to be anywhere at a certain time. There were no deadlines. It was nice. Timeless. Now the clock in the truck is right. The microwave is reset. The clock on the wall caught up. The cell phones are spot on. The satellite is off, but that’s because it originates from another time zone. And the clock is ticking. Only a few more days and it all begins again. The busy will hit. Go to sleep. Wake up. Hit snooze. Go to sleep again. Wake up. Hurry. Hurry. Hurry. Be here. Be there. Be early. No time to say “Hello, Goodbye”. 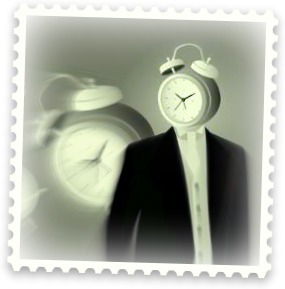 Don’t be late. Springing forward doesn’t seem to get me any extra time. It is a little less dark when I leave for work in the morning and it’s definitely still daylight when I come home. But I won’t have the time to do the things I want to do and I won’t take the time to do the things I have to do. I know it’s my fault. I seem to waste time instead of saving time. But it doesn’t really matter. Time goes on, regardless. I had some extra time this week…well, not really. I should say I took some time this week and read a book or two. Now I can knit in most situations. I can knit under the table. I can knit in the dark. But I can’t knit and read an actual paper book. What I can do is take a bubble bath and read a book. So I did. I took long, glorious bubble baths! Good book and easy knitting. Lacy cowl in progress. Go to Ginny's blog for more yarn along stories. Others were either sleeping or busy. It was a nice quiet time. I like ‘easy’ reading when I get to read for fun. I really like mysteries and I don’t know what they’d be called, but ‘chick flick’ books. You know, the kind with happy endings. Most of the time you can make mine fiction. 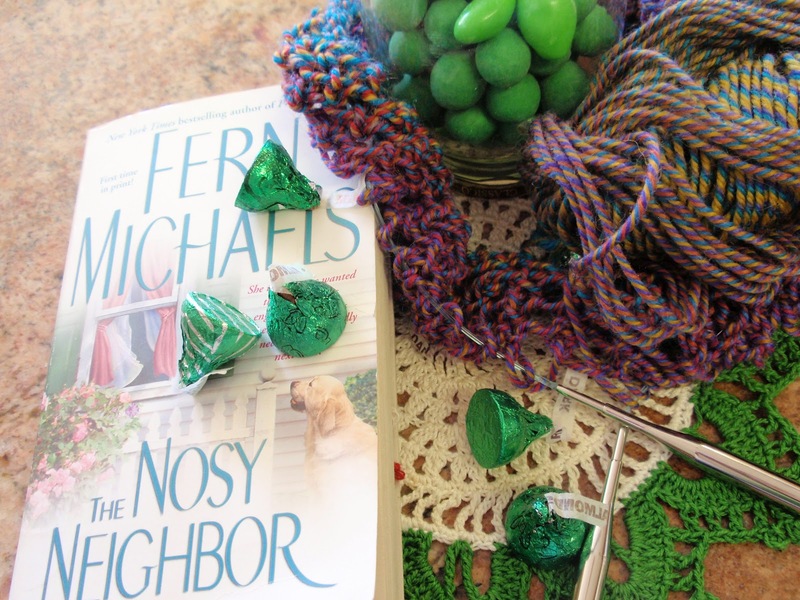 One book I read was called “The Nosy Neighbor”, by Fern Michaels. It’s about a lawyer who gets tired of defending criminals she knows are guilty. She moves to the suburbs to get away from it all. She has a shady fiancé, but meets her nosy neighbor who saves the day. Easy read and I enjoyed it. Purple Mobius. To frog or not to frog? See more creative projects! I did weave another one of those bracelets, neither of which I finished by putting on a clasp or closing to be able to wear. I made a mobius, just a quick easy one, to use some yarn I liked. But I think it’s too long so I may take it apart. Also, I started another cowl, in a lacy pattern, that I’m just winging. Maybe it could be worn besides in the winter. But it’s looking a little long as well. Seems lately I spend a lot of time making something then taking it apart. It’s just another way to use my time. No I can't imagine why. Having a "time-less" week every once in awhile is nice, isn't it? I can't believe it is almost over. Glad to hear you enjoyed some relaxation!